Last updated 22 March 2019 . By Georgia Evans. Us Brits love an afternoon tea, and it’s not hard to see why, because what could be better than daytime drinking with three tiers of finger food? Gone are the days when this was exclusively for omnivores, as London’s vegan scene continues to thrive, with plenty of plant-based versions across the city. 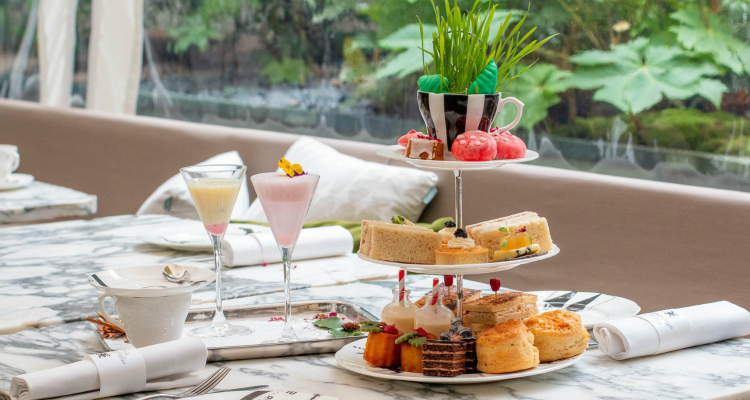 From health-conscious CBD high tea to modern-day Mad Hatter’s gatherings, check out our top 5 spots for vegan afternoon tea. A hub for drinking, dining and creative activities, Drink Shop & Do is a truly unique spot in King's Cross. Pop along on a weekend and you can feast on a selection of speciality teas, sandwiches with decadent fillings and fruit scones with clotted cream and jam, with vegan options on request. 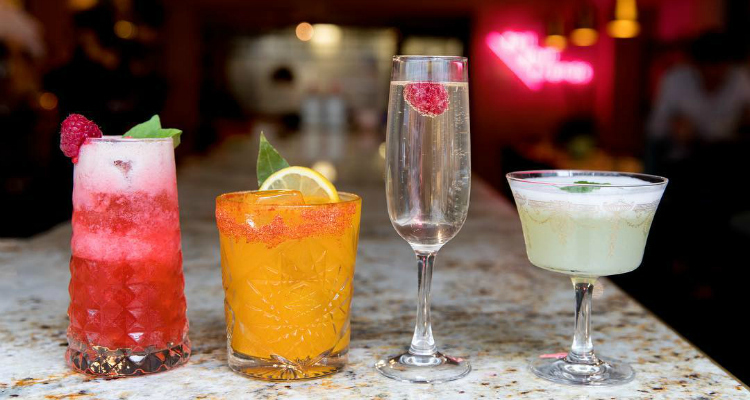 The two hour slot is just £26 per person with optional bottomless prosecco to sip when chillaxing. 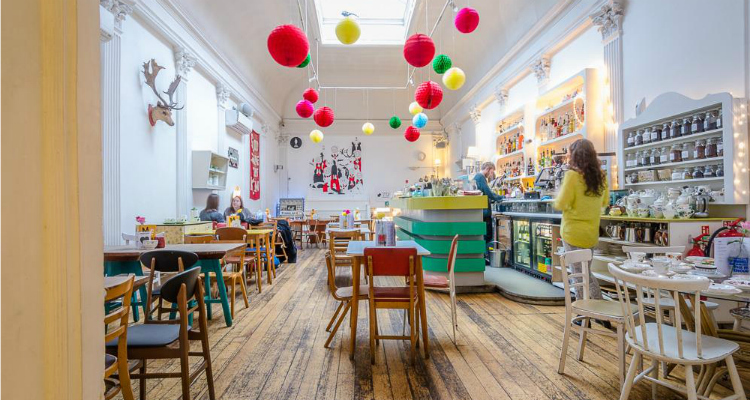 This quirky little spot also serves a pretty darn good vegan afternoon tea. 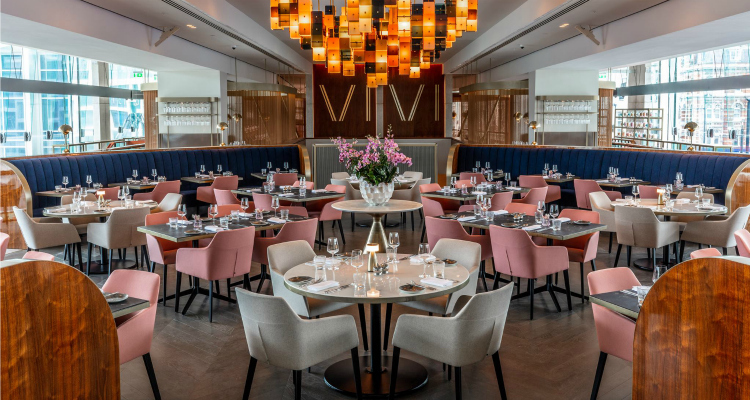 Lucy and Tiff Watson have already impressed diners at their Parson’s Green restaurant with boozy brunches and vegan Sunday lunches, so afternoon tea seems like a natural progression. Offering a very special Mother’s Day installment, Tell Your Friends are offering their twist on an afternoon tea with comforting cakes, filling finger sandwiches and glasses of prosecco for an extra £5. Treat your mother (and yourself) to a stunning plant-based treat at TYF. It’s not just an Instagrammer's paradise, oh no, VIVI are a go-to for plush afternoon tea feasting. Blending the traditional with contemporary twists, you’ll be able to tuck into sandwiches of coronation chickpea with mango chutney, baba ganoush and grilled veg, flourless chocolate cake and coconut bon bons among other tantalising treats. To top it off, they’ve even made everything gluten-free. Not just a pretty face, VIVI know how to do afternoon tea. If you’re looking for something a little quirky, by CHLOE’s afternoon tea is a nostalgic revival of childhood tea parties complete with table-top colouring in and crayons, rainbow star scones, chocolate whoopie pies and red velvet cupcakes with sprinkles. Their savoury options sound equally enticing with tofu egg salad, marinated tomato smoked salmon and chickpea tuna salad, it’s sure to tempt even the fussiest eaters. 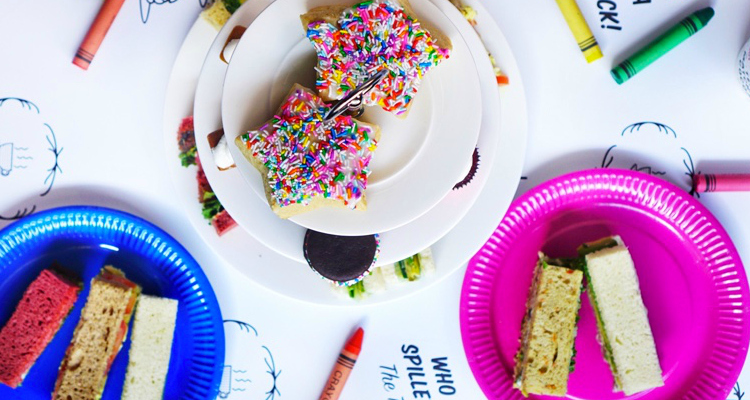 Re-live all those classic birthday parties with sprinkle-adorned cakes at by CHLOE. Pop down the rabbit hole and pay a visit to wonderland with this kooky afternoon tea at The Restaurant At Sanderson. For £48 per person guests can tuck into nibbles such as chia seed wraps, white rabbit cucumber sandwiches, Queen of Hearts pecan and chocolate cookies, Blue Caterpillars and Alice’s exotic ‘drink me’ potions. There’s even a selection of cocktails to sip on, and the option to add on extra champagne. Step into Wonderland and munch of vegan cakes at this Madhatter's vegan tea party.